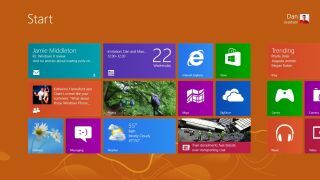 Don't expect more Google apps to show up on your Windows 8 or Windows Phone 8 device anytime soon. Clay Bavor, product management director at Google Apps, told V3 that due to a perceived lack of interest from clients using either the PC or mobile variant, apps aren't on the way. "We have no plans to build out Windows apps," Bavor said. "We are very careful about where we invest and will go where the users are but they are not on Windows Phone or Windows 8." If the tides of interest turn, then Google Apps is willing to adapt, he added, not entirely nixing the idea that Google installations would ever end up on the new systems. Among the apps that won't make it onto W8 or WP8 is Gmail, along with Drive. Windows 8 and Windows Phone 8 users will note that there's a version of Chrome suited just for the systems, as well as a native search app, so Google hasn't left its Microsoft frenemies completely in the lurch. Bavor said that iOS and Android take the brunt of Google's focus, and that's likely only to intensify next year. "In 2012 we've laid some of the ground work and really improved the experience of our core apps on mobile devices...we really see these as the first versions of our mobile experience, though, so we will continue to make big investments in mobile in 2013 with the goal of having beautiful mobile apps." Cloud will be a major area of growth moving into the new year, too. Would you trade in your car for this e-bike?